Our performance is reflected in our first class service and luxurious vehicles – a modern fleet of the latest technical standards. We offer you limousines (1-3 pax), vans (max. 8 pax) and coaches (up to 87 pax). 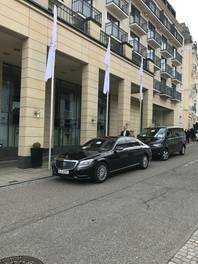 We offer you limousines from Mercedes-Benz (S-class and E-class), VW (Phaeton) and from Audi (A8). 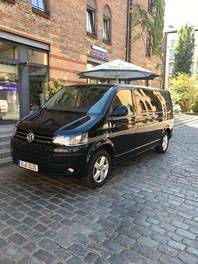 Exclusive and relaxed travelling in our air-conditioned vans - perfect for small groups with up to 8 persons. Travel stress-free and very comfortable in our represantive coaches (for up to max. 87 pax). Of course with air-condition and mobile telephone and more interior.